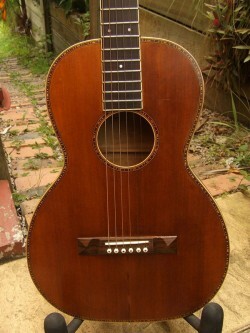 Brisbane Guitar Restoration, what’s involved? 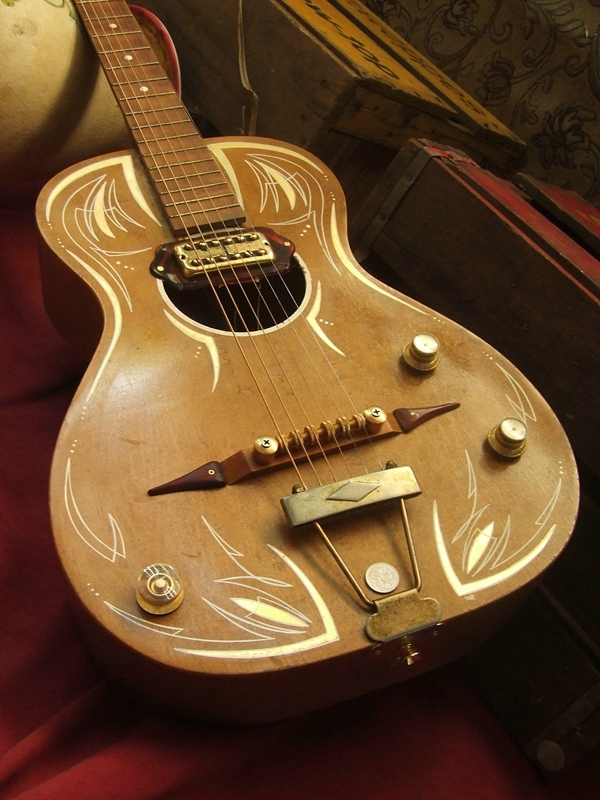 Restoring vintage and rare instruments is the driving passion behind us here at the Guitar Repairers. Seeing a beautiful old guitar from say the 1890’s restored to a playable condition is what makes all our hard work really pay off. The less moisture there is in wood the less it will move over time. Through seasonal changes new wood still warps and moves. 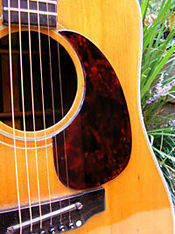 An older guitar has done all its moving and warping so we’re left with very sturdy timber. 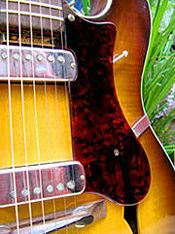 The timbers used in older guitars are of very high quality. 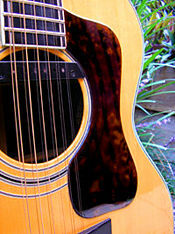 Brazilian rosewood- the best quality rosewood- for example was once used almost exclusively in old guitars. Now a protected species, it is no longer allowed to be cut down and sold. 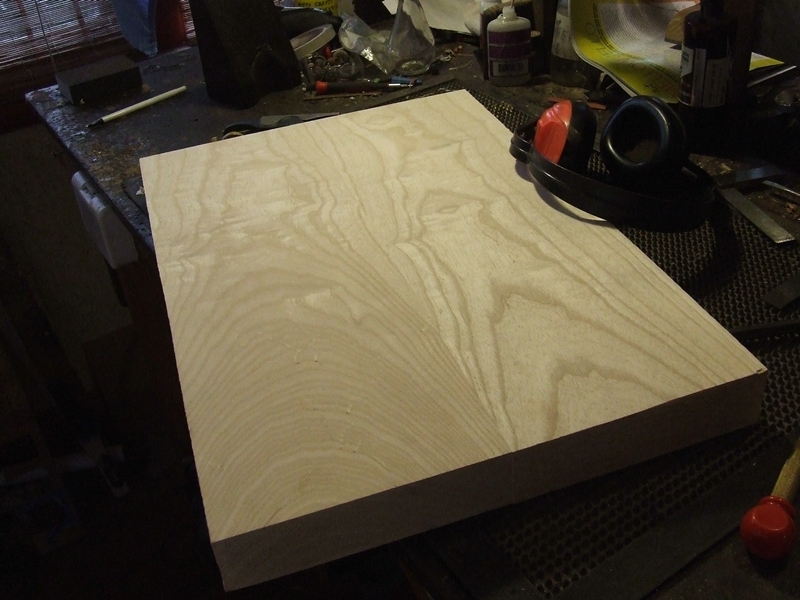 Some Honduras Mahogany and types of spruce are becoming sparse and their lower grade equivalents are being used instead. They all have stories. 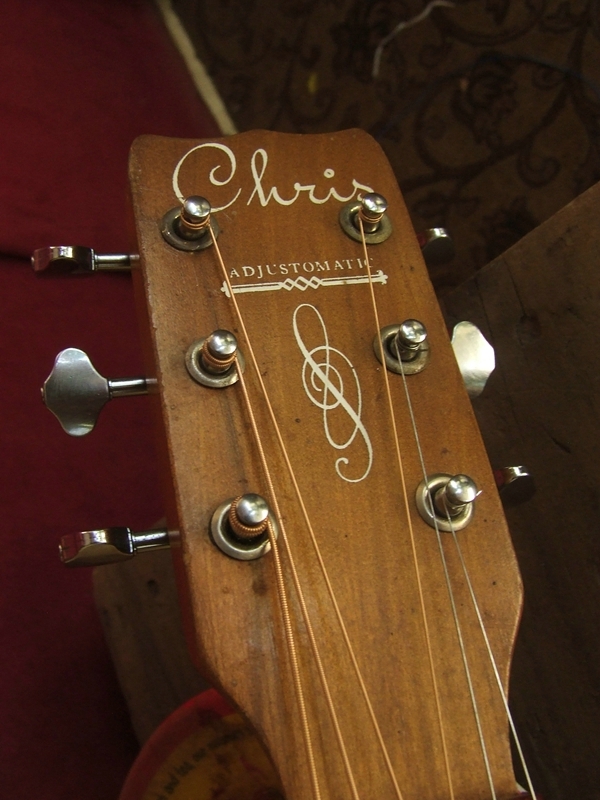 Dings, dents, scratches and marks, these are all tell tale signs that a guitar has led an interesting life. 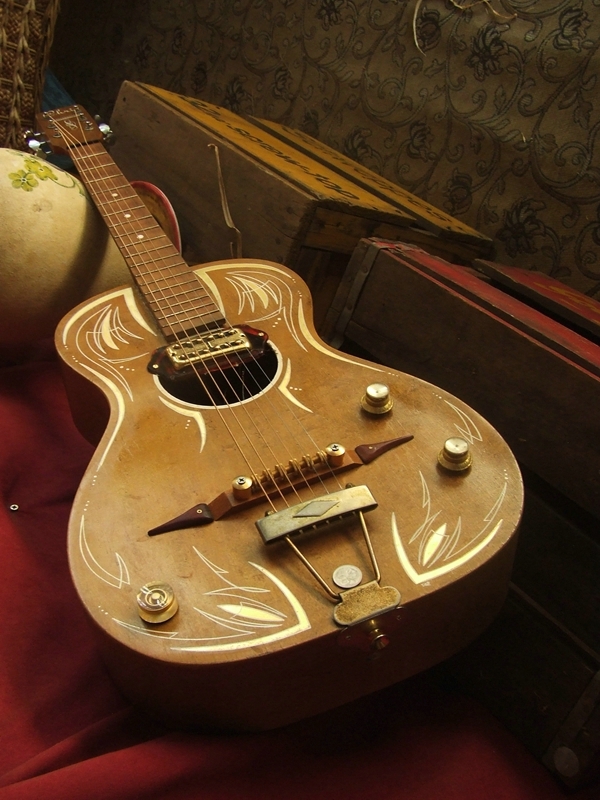 Knowing that an old 1900’s parlour guitar from the US of A was once some young musicians bread and butter makes for a much more interesting history than some man named Django CMCing them from a factory in Moosejaw, Canada. Category Repair info, Service FAQs | Tags: acoustic,bloodwood,bracing,brazilian,brisbane,custom,guitar,james meggitt,john davis,luke kallquist,luthier,luthiery,mahogany,old,parlour,repair,restoration,rosewood,spruce | Comments Off on Brisbane Guitar Restoration, what’s involved? A custom build project with a twist. After crafting a Rick Parffit replica guitar for Statoz Quo (a very good Status Quo tribute band. Check out their facebook here) they just had to have the matching Francis Rossi edition. So there we were faced with daunting task of creating another replica. I say daunting because the standards for these replica instruments are very high. Ask any Status Quo fan and they will tell you that the guitars in that band are a crucial element. To be taken seriously as a tribute band you must have the accurate axe. 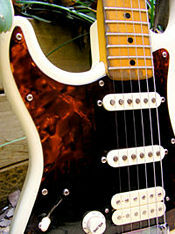 This is a custom T-Style guitar we just finished for a customer. 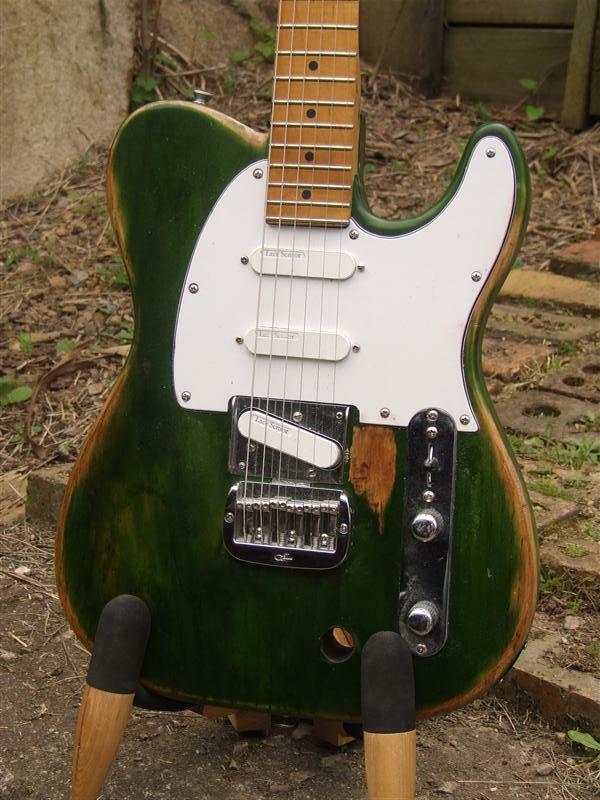 He wanted that awesome tele crunch but with much more midrange so we said “sure! leave it with us”. An all maple neck, nice ash body, b5 Bigsby, mini humbucker in the neck and a chrome plated P-90 in the bridge and of course a lovely vintage style nitro cellulose Butterscotch finish is what we came up with. Not bad eh? Sounding as nice as it looks, as promised it has a nice bitey top end with a good thick midrange crunch. We have since added a groovy tortoiseshell scratchplate to this beaut and Phil Barker, the proud owner has been nice enough to grant us a testimonial! John I just wanted to let you know what a great job, you, Luke and James did in making The Beast for me. A beautiful instrument to play with such a wide dynamic range: from the extremely bold and crunchy, to gentle sweet jazz tones. 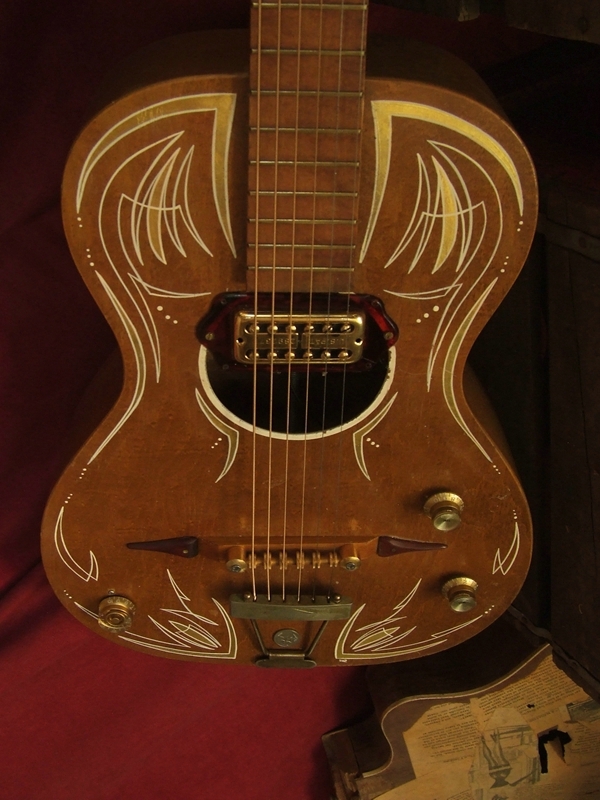 If I ever l play well enough to match the possibilities this guitar opens up I will be a happy man. So our boys Matt and Luke got funky with some clear perspex and a host of nitro cellulose / stain mixtures to create the tortoise shell delights you see before you. 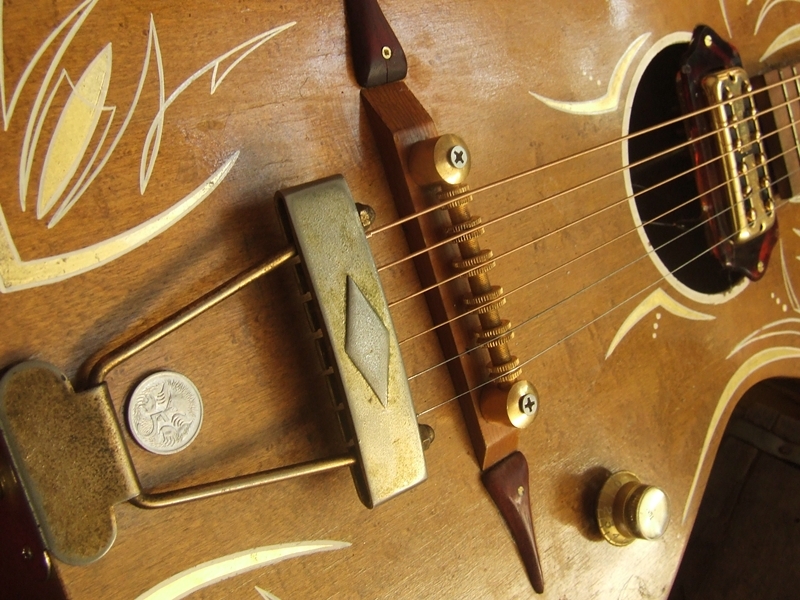 We even utilised the stuff in one of our banjo pick-up systems (see photo), with pleasing results. Scratchplates and many other accessories are made to order. This is just a sample of what we can do. We started creating our custom tortoise shell creations for a couple of reasons. Firstly, it is very difficult to import tortoise shell as it is flammable, and secondly we have been increasingly unhappy with the range of tortoise shell scratchplates available, we feel they just don’t do a fine classy instrument justice.